Welcome to the website for Rhian Edwards, Young Adult author for the exciting debut of the Aphora Trilogy. 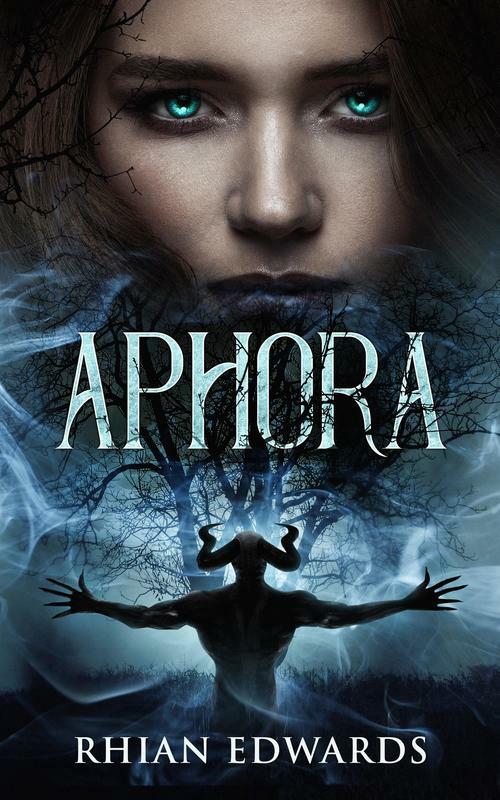 Rhian is super duper excited to reveal the updated cover for Aphora book 1! Check back in on Friday where you'll be able to purchase Aphora for FREE over the bank holiday weekend! Click here to view the blurb and short video trailer for Aphora. Want to learn about a book you could read? Don't know if you'll like it? Check out Rhian's book review on book 1 of the Talon series by Julie Kagawa (it's about dragons being dragons and teenagers being teenagers in case you wanted a quick insight). Rhian can't take credit for the photo. It came from Pintrest. Rhian loves Pintrest. Where do you think most her wedding ideas came from? Bailey has just dropped his newest blog, click the picture to take you to his post! ​Click on the book to get your own copy of Aphora! ​Check out the book trailer for the first book in the Aphora trilogy on the books tab. Like her Facebook page or follow on Twitter for more (including Bailey)!